While it’s not essential for a music critic to sing or play an instrument, it helps; similarly, it’s useful for a musician to have a critical sensibility—a framework of aesthetic values or standards to draw from and test one’s work against. It’s good for an artist to have a little critic inside, and few musicians I’ve known have had internal critics more acute and more demanding than the one inside Barbara Lea, the popular singer who died on December 26 at age 82. I admired Lea greatly and came to know her fairly well. I heard her sing dozens of times after I started learning to take pop standards seriously under the tutelage of the late piano-bar scholar Roy Hemming, and with Roy, at first, I had the equivalent of a seminar in popular singing over drinks with Barbara. As a listener and singer, Lea lived by a small set of classical ideals, which she put into words something like these: the singer should serve the song; improvisation is indulgence; words and lyrics should be honored in careful balance; if you don’t love a song, don’t sing it. Her dedication to clear and strong convictions was unyielding. Lea couldn’t bear to listen to Sarah Vaughan, and she much preferred Ella Fitzgerald’s more restrained work on ballads to her improvising on swing tunes. Lea abhorred scatting. I sat at the same table with her once during a performance by Mark Murphy, a wildly imaginative improviser who is one of my favorite singers, and I watched Barbara cover her mouth with a napkin. I was ready to cheer, and Lea looked about to throw up. Her idols were models of subtlety and restraint, Lee Wiley and Connee Boswell chief among them. 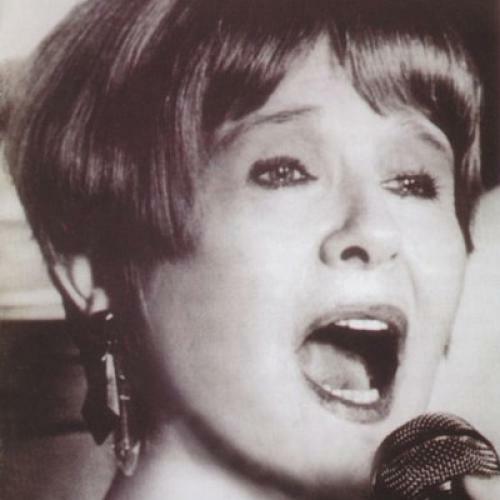 She liked Frank Sinatra before the Sixties, and she was a champion of a handful of contemporary vocalists in the jazz-pop tradition, including Daryl Sherman (with whom Lea performed on occasion), Eric Comstock, and my wife Karen Oberlin. Lea disdained improvisation because she heard it as showing off, a display of technique at the expensive of meaning. She objected not to any deviation from the text, but to disregard for it. Variations from the text had to spring organically, out of feeling. I was in the rehearsal studio once while Karen was running a new show for Lea to hear, and Barbara told her, “Don’t be afraid to sound bad”—that is to say, don’t be concerned with the technicalities of sound production. “Sing from within,” she said.